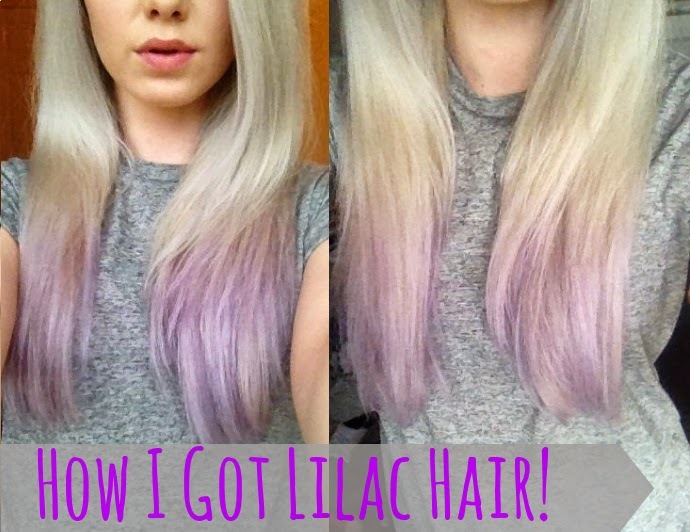 Emilyke: How I Got My Lilac Dip Dye! 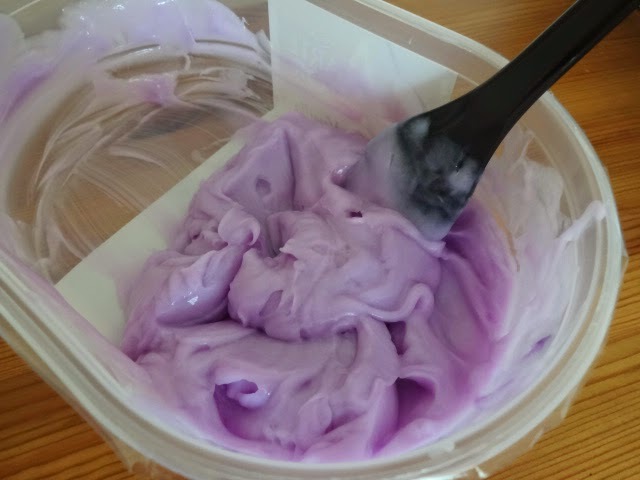 How I Got My Lilac Dip Dye! As you may or may not have noticed I haven't been doing much blogging recently and this is actually my first post this month. I'm not going to make any excuses, I couldn't be bothered. I've been busy, I just wasn't feeling it and didn't feel inspired to write anything and it felt like a bit of a chore. I just couldn't be bothered but you know what, I don't see that as a bad thing. Why should I make myself do something I'm not enjoying. I let myself have a little break, with no idea when I'd be back. I just waited until I wanted to write a post, I didn't want to force myself because then I'd still feel the same. So now here I am, actually wanting to write a post and feeling excited to be back. I'm also hoping to be doing some more style/outfit posts if the weather starts getting nicer so I can take pretty pictures outside! So here is my first post, ready to start fresh and get back into the swing of things. Woohoo! 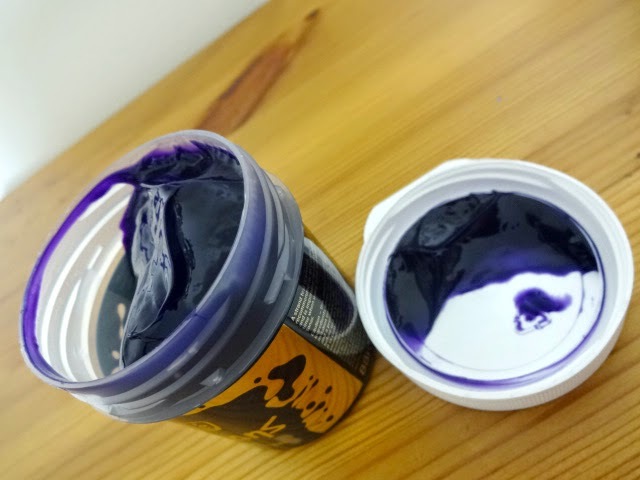 Now as I'm sure you can tell by now, this post is on how I got my lilac dip dye. For god knows how long, I have been lusting over pastel hair on Instagram and weheartit. I went through a stage a year or two ago of wanting pastel pink hair (Amelia Lily on X Factor timings) and I was so close to doing it, but I got too scared. 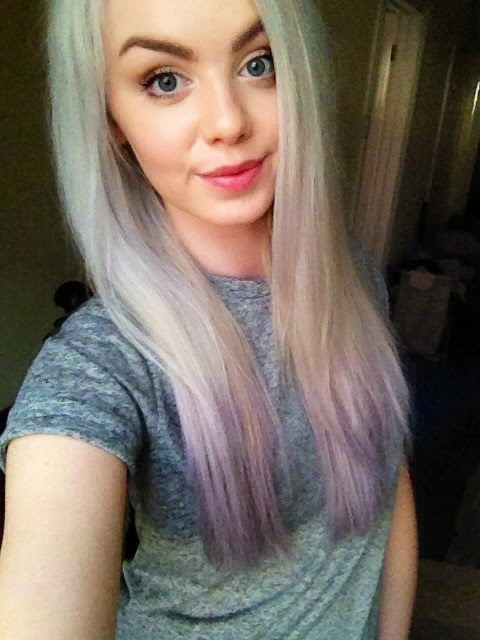 Then more recently I started wanting lilac hair, more specifically a lilac dip dye. I just think the colour looks so pretty paired with pale blonde hair, especially when it's in curls or loose waves which is my go to hair style for nights out. I thought about it all the time, searching through photos upon photos and drooling over how pretty it looked, but again I never had the courage to actually do it. Then one day, I had a 'YOLO' moment. (Don't worry, I don't really say YOLO in all seriousness). I thought you know what, I'm 19 years old, it's semi permanent and I just don't care what anyone else thinks. That was it, I spent the whole day researching YouTube videos on the best way to do it and the best products to use. I ordered the dye that night from amazon and bought the rest of my lilac hair kit the next day. After a few busy days at work, I finally had a day off and was super excited to get my lilac hair. So these are all the products I used. I bought the dye from Amazon and everything else from Boots. Now the toner part is optional, I just wanted my hair to be as even as possible and look really fresh and bright. My hair was a bit dull in the lower half and my roots were slightly brassy, so I thought I'd give this toner a go to try and even it out. 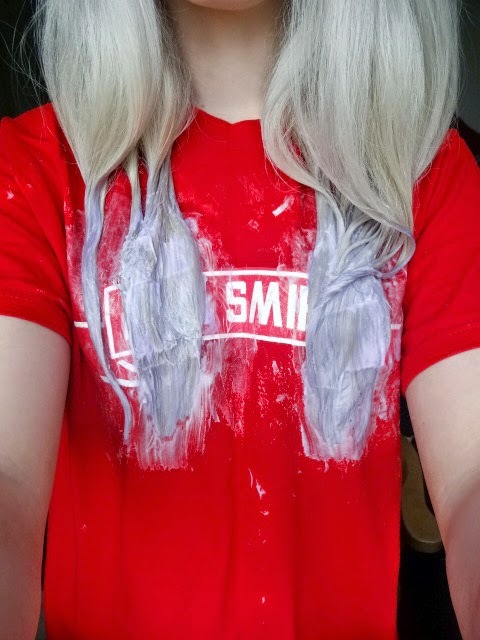 I didn't actually leave this on for the full time (20 minutes) and only about half as it does have a small amount of bleach in it and I didn't want to damage my hair. I was really pleased with the results, the top of my hair looks much more even and the lower half a lot less dull. The underneath of my hair is still darker but it doesn't really bother me too much! Unless your hair is already very even and not brassy, I definitely recommend using a toner as it will make the whole finished product look so much better. So if you're good to go with nice blonde hair, you can skip straight to the lilac. It's also worth mentioning that the purple dye will only take to light blonde hair and the lighter the better! This is the dye I used, La Riche Directions in Violet, which after a lot of research I thought would be the best one. It seems to be the most popular and it definitely gives good results. Now there is a lilac shade of this, but I actually preferred the way this colour turns out when looking at reviews. You dilute it with white conditioner anyway so the fact that it's so dark doesn't matter, I just preferred the tones of this shade. I would definitely recommend doing a strand test, because as you can see, mine turned out quite dark purple and not the lilac I was looking for! So when I did the real thing I knew to add less dye into the conditioner. 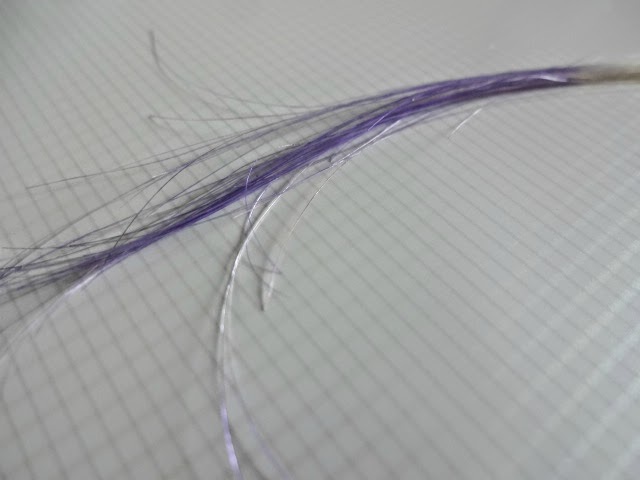 I just cut a small piece of hair from the back, underneath of my hair and dyed it as I would do the rest. So when it came to doing my hair properly, I added less dye. You should actually make the dye a bit darker than you want it on your head, but I think I was just scared because the strand test went so dark that I actually did it the exact colour I wanted it to come out. This meant it didn't come out as dark as I wanted and it actually looked a bit washed out. But as you can see in the photos, it's not that bad at all, just not exactly as I wanted it! I have since re-dyed it so it's a tiny bit darker. 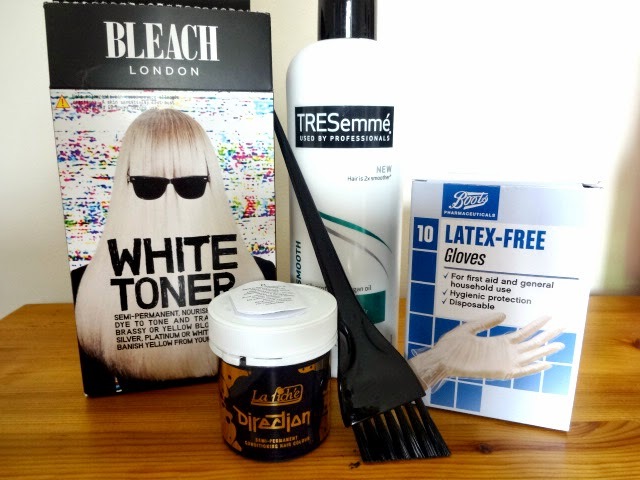 To mix up the dye you need a white conditioner, do not use a coloured one or it will alter the colour of the dye. Put as much as you think you will need to cover your hair into any tub/bowl and gradually add the dye to get the colour you want. Add a tiny bit at a time because you only need a small amount! As you can see, I'm wearing a random Smirnoff t-shirt. You want to wear one that you don't mind ruining! Mine didn't actually stain at all, but you don't want to risk it. So I applied the dye to the bottom ends of my hair, trying to make sure it was blended through nicely and not a harsh line. The first time I dyed it, I just put it all over in one go. This didn't turn out too even, so the next time I put my hair into sections and applied it in layers. This worked much better so I highly recommend doing that! Then you want to leave it on for about 20 minutes, but you can keep looking at your hair and checking it and take it off when you think it's ready. Once you're ready, just wash it off in the shower and make sure all the conditioner/dye mix is out before shampooing and conditioning as normal. Then you can dry and style as you wish! 1. Make sure your hair is light blonde and a nice even, non brassy shade. 2. Do a strand test to make sure you get the colour you want. 3. Apply the dye in layers to get even coverage and blend it well. 4. Do your research. Hopefully this post is helpful! 5. Don't slip in the shower when washing off all that conditioner.. If you want to do your full head, you can still follow these steps with the only difference being that you're going to apply the dye to your whole head! I really hope you enjoyed this post and found it informative if you're planning to do this to your own hair! I so shouldn't of read this post as I really want to do this to my hair now! It looks so well blended for a home kit, you would never tell!